At milktooth we’re excited to announce our January school holidays. We’re offering a range of short workshops that have something for everyone, so dive on in! Once you’ve had a look through all the workshops we have on offer, head over to our bookings page to secure your place. Our combined Kids Yoga and craft sessions are designed especially to nurture your child’s body and mind. Beginning with a one hour long guided yoga session, especially designed for little bodies by local instructor Avril Strutt from Bourne2 Strutt Yoga, students will learn some fun animal stretching poses and practice simple meditation techniques. Following that, artist Elizabeth Marruffo will help them craft their own quiet-time felt animal eye masks to wear while relaxing. 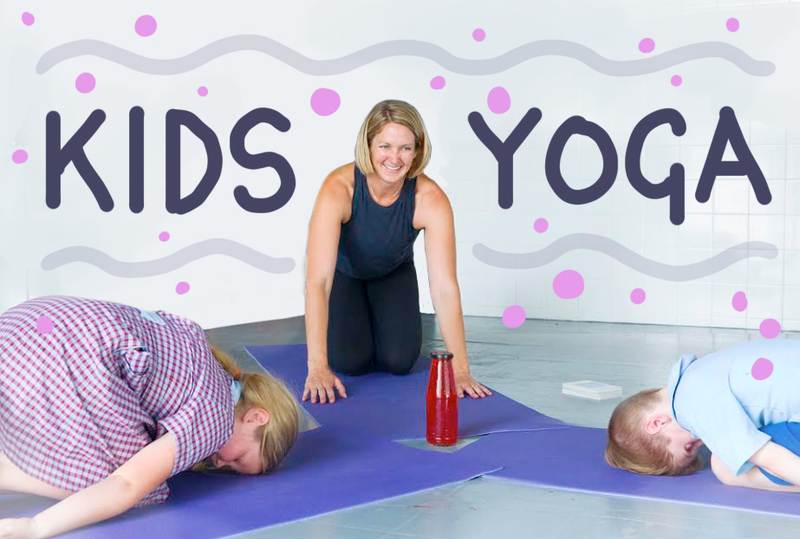 Beginning with a one hour long guided yoga session, especially designed for little bodies by local instructor Avril Strutt from Bourne2Strutt Yoga, students will learn some fun animal stretching poses and practice simple meditation techniques. Following that, artist Elizabeth Marruffo will show students how to make their own mandala using symmetrical patterns and animal outlines. At the end of the session, students will receive copies of everyone’s mandala designs to assemble into a colouring in book to take home. Following that, artist Elizabeth Marruffo will show students how to identify a range of patterns in nature and then use these patterns to paint a series of mandala stones for decorating a succulent terrarium to take home. Usually, a terrarium is a small glass enclosure which is used to grow plants. 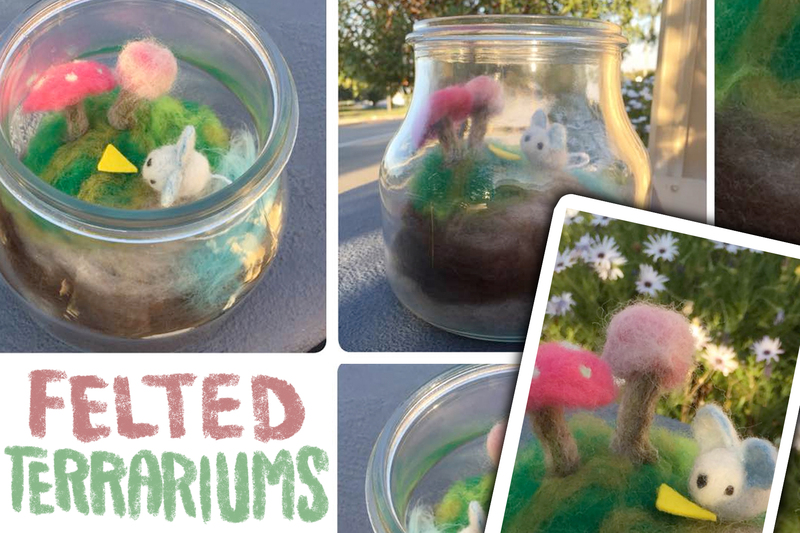 Our terrariums will be slightly different however as we will be filling ours with wonderful felted scenes from your imagination. Mini mushrooms, tiny trees, shrubs, flowers, rocks and moss. We will teach you a bunch of great felt-crafting tricks as well as plenty of advice on how to landscape your terrarium for maximum awesome. So steady your hand, get your needles ready and prepare to make the garden of your dreams. 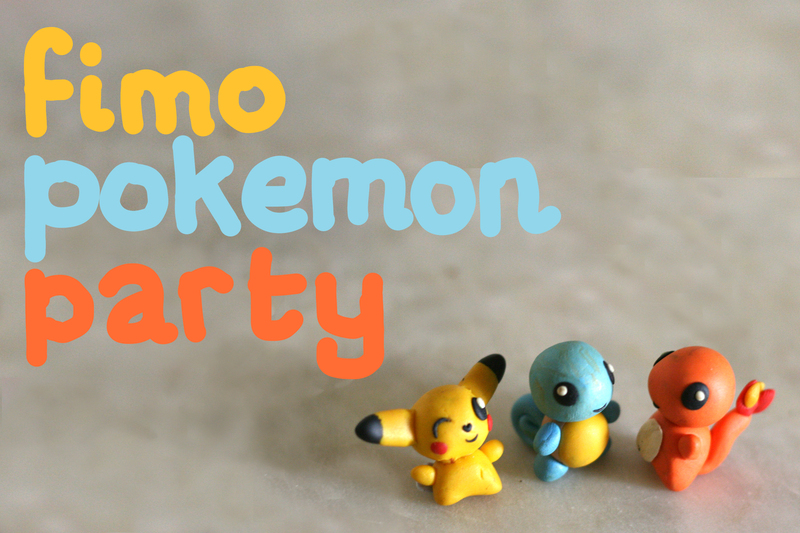 It’s time to roll out the fimo and get sculpting. In this workshop students will learn how to sculpt with polymer clay. This will include lessons identifying and forming simple shapes as well as a few more advanced techniques that they can then use at home to continue making their own creations. During this workshop, students will be able to make their own starter set of Pokemon including Pikachu, Squirtle, Charmander and Bulbasaur. In love with the cuter side of life? Then this workshop is for you. Expert of the tiny and cute, artist Elizabeth Marruffo is going to take you on a journey into the wonderful world of needle felting. Students will learn the techniques of wool sculpting as you make your very own furry Pokemon. 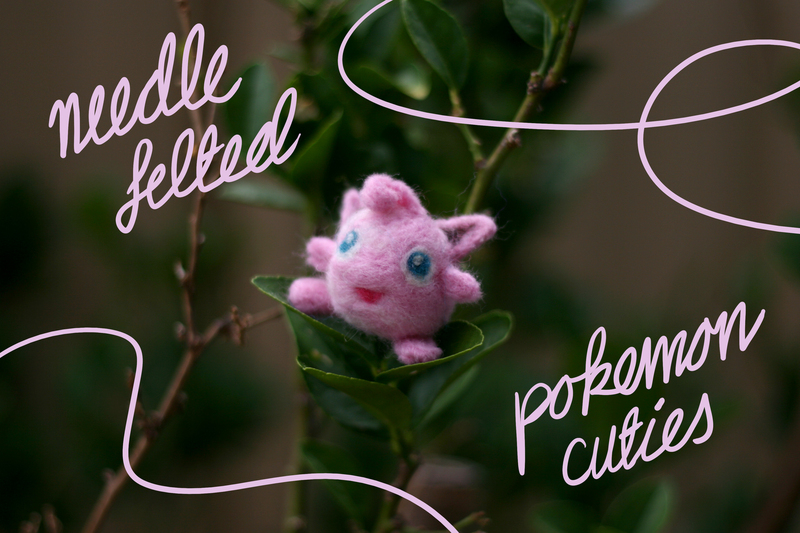 So steady your hand, get your needles ready and prepare to make some of the cutest Pokemon around. 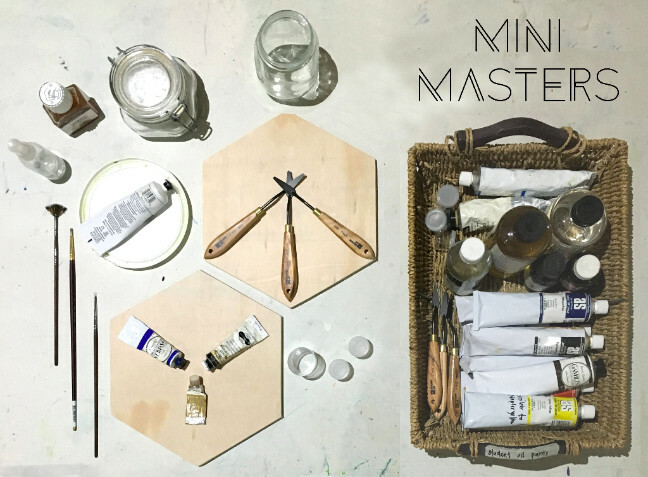 Exercise your creative muscles with us as we explore the traditional technique of egg-tempera painting. Students will have so much fun learning how to grind their own pigments and mix these with an egg binder in an ancient recipe that has been used by famous artists throughout history. Artist Elizabeth Marruffo will then guide you in the tricks and techniques of using the paint we have made in a still life painting. We will explore how composition effects meaning, how to train your eye to spot tonal values and how to get the most out of the humble brush. This workshop is ideal for those wanting to take their fundamental painting skills to the next level. It’s time to get tiny! 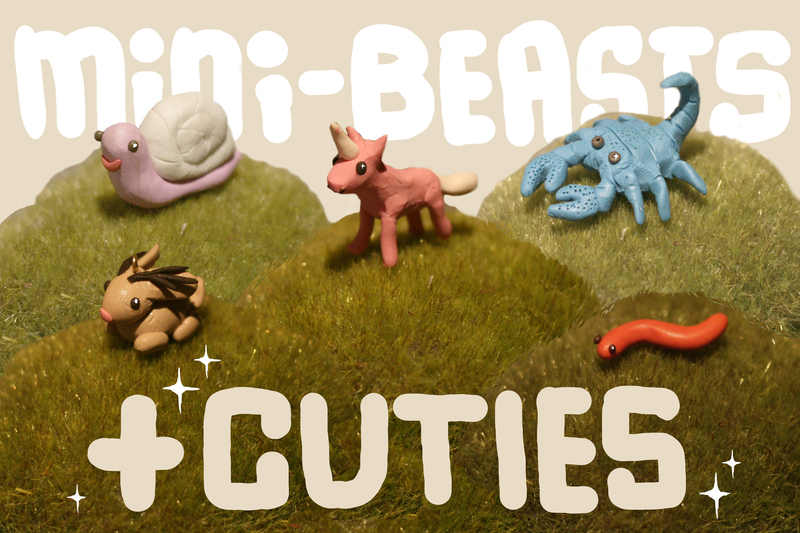 Artist Elizabeth Marruffo will take you on a sculpting adventure as you create tiny creatures of the fantastic. Using polymer clay and a range of clever sculpting tools and techniques, you will learn the basic skills that will help you sculpt anything you like. Dragons, chimera’s, mermaid’s, basilisk’s, harpies, unicorns, pegasus’s, pegacorns! Whatever your heart desires, we’ll help you make it a tiny reality. In this workshop, you will learn how to make your own woven basket incorporating treasures from the garden! Led by fibre artist Sian Boucherd (BA Art and Design) you will be shown how grasses, twigs and feathers can be woven in to your unique vessel. Sian has experience working within the field of Land Art and hopes to impart her knowledge of and passion for natural materials; how they move, behave, and how best to prepare them. An abundance of materials will be provided but please feel free to bring along anything you’d like to incorporate; a piece from your garden or recent beach walk; a treasured length of fabric; a feather. You will also have access to a bundle of pompoms handcrafted by Milktooth co-director Elizabeth Marruffo, allowing you to personalise your little creation. Designed for students 8 years and above who have a keen interest in painting. Places are limited to 6 participants. 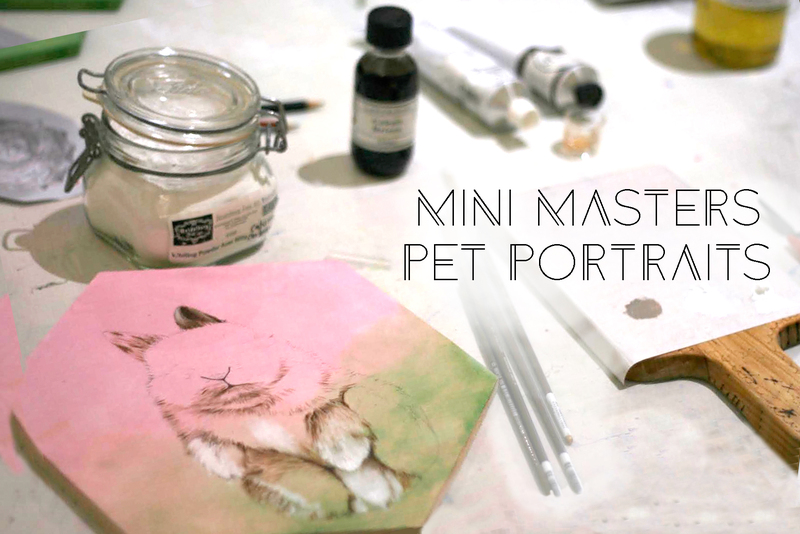 Learn the secrets and techniques used since Renaissance times to create a mini portrait of your favourite pet. Over two days of deep art exploration, you can expect to learn how to prepare your painting surfaces (wood and canvas), how to select the best composition, how to transfer images, how to create a tonal painting, simple colour theory and how to mix a variety of different colours from a limited starting palette. We will also explore different brushes and how to effectively use them. This workshop is delivered by award winning painter Elizabeth Marruffo who studied these techniques at prestigious academies in Florence, Italy. We will learn about a few of our favourite men and women who painted during the Renaissance too. Using 100% Australian Merino wool felt and a picture of your pet we will be learning simple techniques to sculpt tiny portraits. As you get the hang of it we will also make any accessories or food your tiny pet might like. 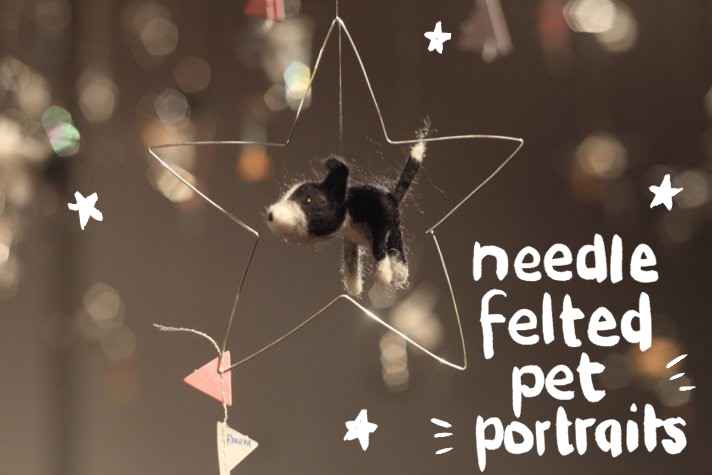 We have found that needle felting is highly addictive so we have take home balls of felt and tools you need available to purchase on the day. 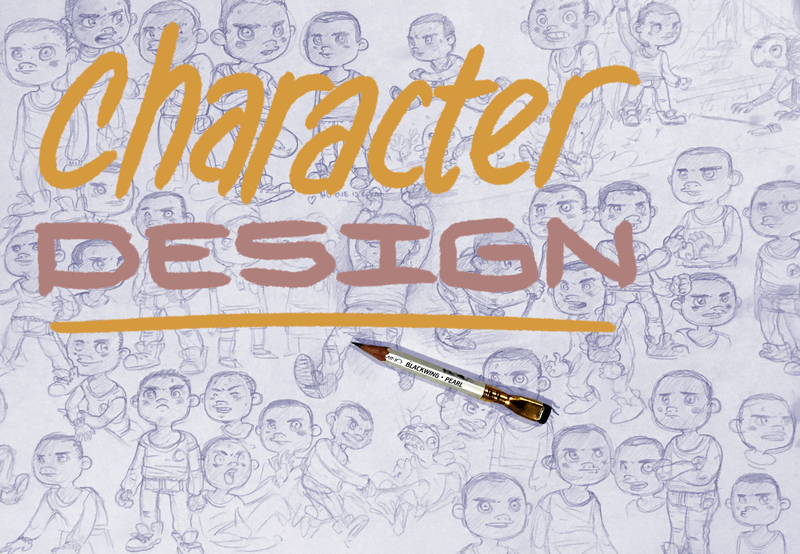 Character design is one of the first things that a reader sees when they read your story. In this workshop, local comics maker Campbell Whyte will teach you how to design your characters so their very presence tells a story. We’ll look at silhouettes, body proportions, costuming, body posture and facial expressions in some classic comics and see how we can apply them in our own work. So get ready to take your original characters to the next level!